Maybe it’s just me, but it kind of seems like everyday there’s a new app geared to bringing food to your doorstep – or desktop, if you’re the kind of diligent worker bee who toils through the lunch hour…cough, cough…I mean, I’ve got a blog named Dining at my Desk – I’m sure you can guess where I’m eating lunch. 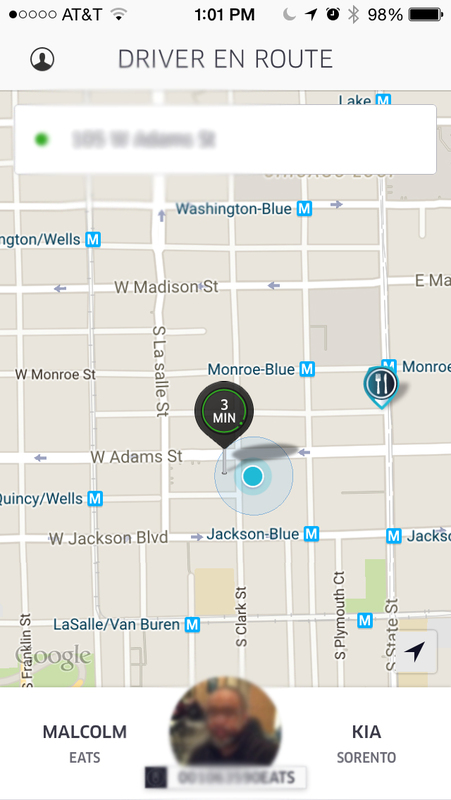 Cue UberEats, part of the Uber app, which, whether you love it or hate it, you’ve gotta admit, is the best idea ever. I’m personally in the “oh my god, life changing!” camp when it comes to Uber. The good drivers of UberX have saved me many a sad, not-so-sober bus ride home, and I’m not just saying this for all the five-star reviews I plan to get from the sheer notoriety of my largely obscure blog. I really do love this app. On this particular day, I gave UberEats a try…probably definitely because I had a promo code that gave me a basically free lunch. 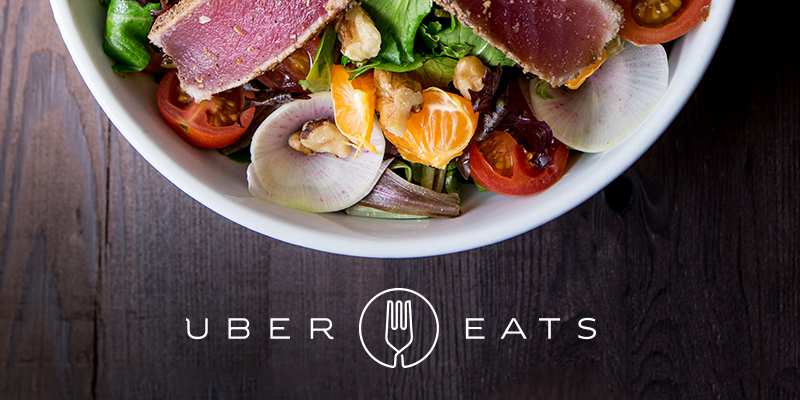 UberEats teams up with popular local Chicago restaurants, launching a weekly rotating menu for lunch and dinner. 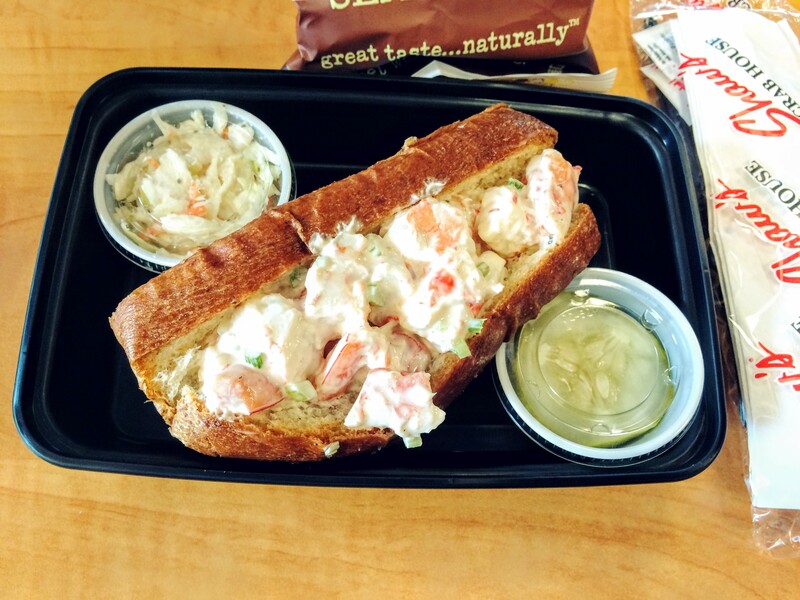 The lunch I had my eye on came from Shaw’s Crab House – namely, a shrimp roll (in my mind I was thinking something akin to sushi, but really, it was a lobster roll, sans lobster, sub shrimp), chips, pickles and slaw. Never having ordered from UberEats before, I really didn’t know what to expect, so I bravely opened the Uber App, slid the pointer over to the Eats section, and noticed there were plenty of Eats drivers in my area (Chicago Loop), in fact, one could drop off my food in less than 3 minutes. I selected my preferred menu items, and my driver was en route in seconds. 3 minutes for food? It took me longer to get down the elevator. Now at this point, you may be wondering, as my dear friend John did, “Did he have enough food in the car to make the sandwich?” Ummmm, that’s not quite how it works. The food is pre-made and either kept warm or cool in the driver’s car; all the driver has to do is pull it out and hand it over, and all you have to do is take it back to your desk and devour it. So how was my chauffeured lunch? Delicious, but likely because I’d eat almost anything covered in mayonnaise. I was impressed that the food was kept cool, because I’d eat almost anything covered in mayonnaise, except food covered in mayonnaise that hasn’t been properly kept cooled – that’s obviously a recipe for disaster. The shrimp roll was truly fantastic – lots of big shrimp, a bright (not too heavy) mayo dressing, and a perfectly buttered roll. 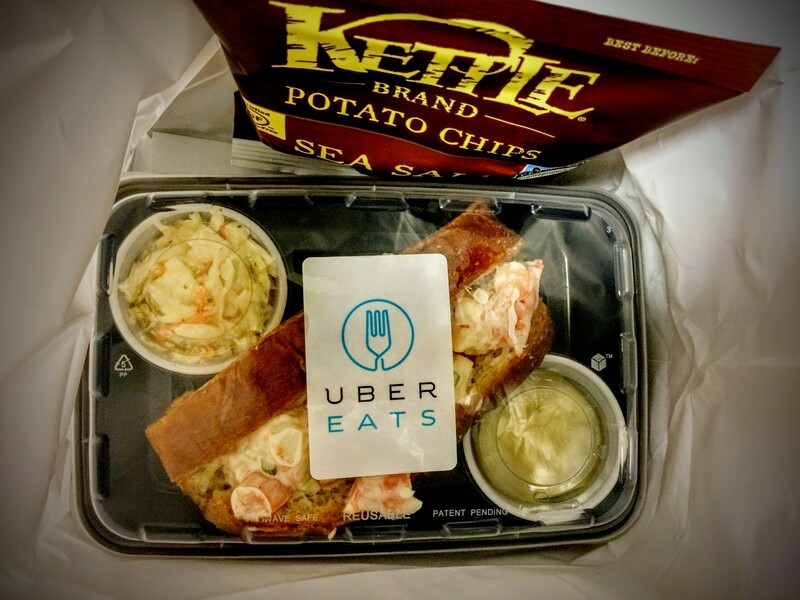 The pickles were great, the slaw was probably the weakest point – just ok.
To recap, UberEats is extremely easy to use, and a really awesome option if you want to get food quickly. You can’t order food any faster than this, and even microwaving a sad desk lunch is going to take longer than UberEats showing up. The ease-of-use of the app is fantastic, and I like that it’s built-in to the Uber app – no downloading a separate app required. If you’re a first-time user, look on the internets for promo codes. 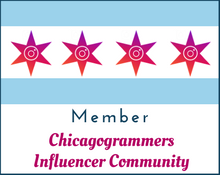 Currently UberEats delivers in the The Loop, West Loop, River North, Lincoln Park, Old Town, and Gold Coast. Download the Uber app to your phone.